Sid Dillon Chrysler Jeep Dodge RAM in Crete, NE offers information on the Chrysler Brand. Here’s some information on historical and current Chrysler models. The Chrysler brand was created by founder Walter Chrysler after the Maxwell Motor Company was re-organized to create the Chrysler Corporation. Chrysler had been working for General Motors as their vice president of operations since 1919 which led to him being put in charge of the reconstruction of the Maxwell and Willys Overland companies. On June 6, 1925, the Chrysler Corporation was officially established and it began production of the first ever brand model, the 1924 Chrysler Six. This all-new model came with a price tag of $1,565 and was equipped with a new high-compression six-cylinder engine. It was also the first passenger car to come standard with four-wheel hydraulic brakes. Additional standard features on this model included full-pressure lubrication, aluminum pistons, indirect interior lighting, replaceable oil and air filters, shock absorbers, and tubular front axles. By the 1930s, the Chrysler Corporation’s success had led to it being named the “engineering company” for the Detroit area and it continued its pattern of innovation with a series of automotive firsts. These included replaceable oil filters, one-piece curved windshields, Floating Power, and downdraft carburetors. The launch of its new Imperial series took the brand to the next level in terms of combativeness amongst the automotive industry. This model came with a custom-built body, a 125-horsepower engine, and a 145” wheelbase. Additionally, the Imperial only cost $3,145 which was about a third of the price of other similar vehicles, making it stand out all the more. In the 1950s Chrysler Introduced the first “HEMI®” Engine – The Hemispheric-head V8! In 1951, Chrysler debuted the hemispheric-head V8 engine which would go on to become the HEMI®. This engine generated a higher level of horsepower along with higher compression, better combustion, and a lower level of heat loss. Soon after, the brand debuted their automatic Powerflite transmission. Chrysler also went back to its engineering roots by using the smooth power and low maintenance of aircraft engine turbines to create an all-new gas turbine engine program that would become a signature staple of the Chrysler brand. 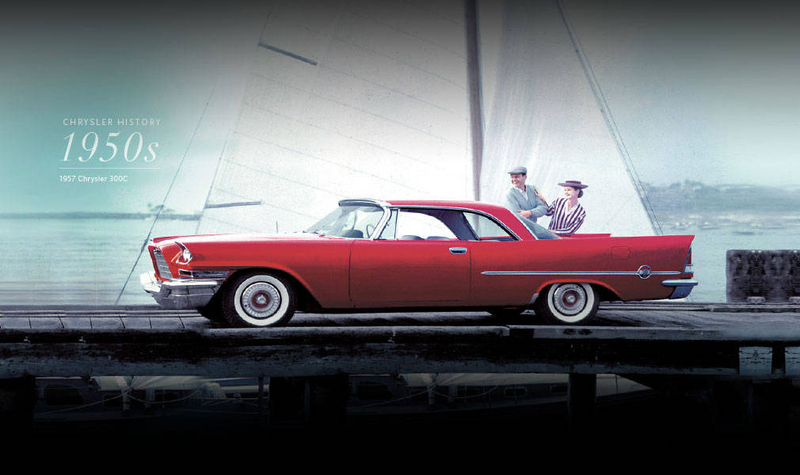 In 1955 Chrysler Introduced the first / original Chrysler 300 – The first muscle car – 143 MPH! The first-ever Chrysler 300 made its debut in 1955 introducing the new sleek, sculpted, Forward Look design that would transform the line. The first 300 is often referred to as the first muscle car as it combined a striking body design with the raw power of the HEMI engine. This combination earned it a large amount of admiration on and off the race track with its record-setting performances at several races throughout the 1950s including Daytona Beach where it achieved a 143-mph performance! Throughout the remainder of that decade, Chrysler products continued to take on a new look with signature tailfins that helped to create better stability and handling when traveling at more than 70 mph. In 1957, Chrysler debuted the 300C which came equipped with the new Torqueflite transmission, a standard 392-cubic-inch, 375-horsepower HEMI, a high-output camshaft, two four-barrel carburetors, and Torsion-Aire suspension. This impressive combination earned it the nickname “beautiful brute” for being the fastest and most powerful production car in America that year. Other engineering firsts that were introduced by Chrysler throughout that decade included the first practical alternator, power steering, “safety cushion dashboard,” torsion-bar suspension, and Chrysler push-button transmission. During the 1960s Chrysler redefined its look once again with smaller, more refined body styles and the elimination of the fins. In 1963 Chrysler introduced the 300-J which had the same style/speed combination of the previous models thanks to heavy-duty torsion bars, leather interiors, and Ram Induction manifold. Chrysler sales had increased 65 percent by 1965 bringing them up two spots in the national rankings to ninth place. The 1970s brought a rapid evolution to the Chrysler lineup with the debut of new models such as “Chrysler’s new small car,” the Cordoba. This model was a coupe that sported a 115” wheelbase, one-of-a-kind rectangular taillamps, a Jaguar-like front end, and a formal roofline. This combination made the Cordoba one of the most popular models of that decade with sales beating out other “Chrysler small cars” such as the LeBaron Medallion coupe. 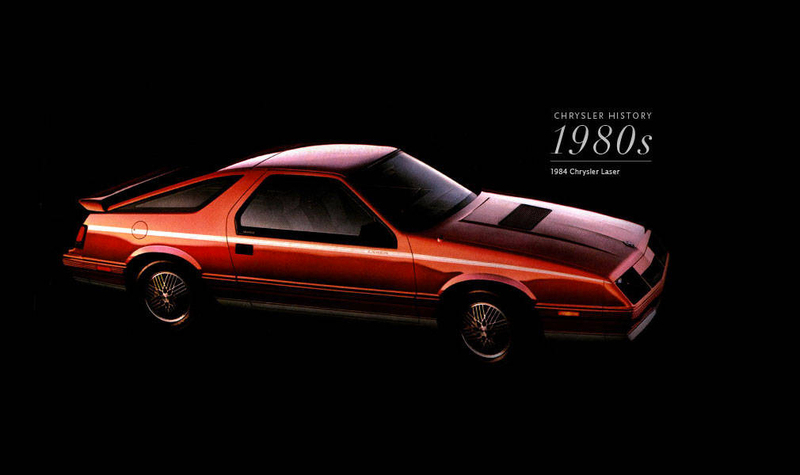 When the 1980s rolled around, Chrysler decided to go back-to-basics with their designs with the introduction of more practical designs. This era brought the Chrysler Town & Country in 1984 making Chrysler the originator of the minivan segment. Throughout this decade, the LeBaron convertible was the real design highlight, bringing style and excitement back to the Chrysler name during its nine-year production in America. The end of the ‘80s brought about new design and production changes due to a change in leadership. The new management decided to go back to the engineering roots of the brand and created platform teams to develop a new lineup of “Euro-Japanese-ethic” cars. This new philosophy led to the creation of concept vehicles such as the 1988 Portofino and the 1989 Millennium. The renaissance of the Chrysler brand continued into the 1990s with the release of the new mid-size Concorde sedan in 1993. This model was followed quickly with the full-size LHS and Chrysler 300M, the Cirrus sedan, the next-generation Town & Country, Sebring luxury sports coupe, and Sebring convertible. At the turn of the millennium, Chrysler continued to reinvent itself while still paying homage to its roots. This decade saw the launch of the next generation of the Chrysler 300C in 2005, the all-new PT Cruiser, and the newest version of the flagship Town & Country equipped with a long list of new safety and technology features. Throughout this current decade, the Chrysler brand has maintained its status as a quintessential American brand while it continues to reinvent itself with the launch of new products and advertising campaigns. One example is the popular Imported from Detroit® campaign that was introduced at the 2011 Super Bowl which led to record-breaking sales that year. 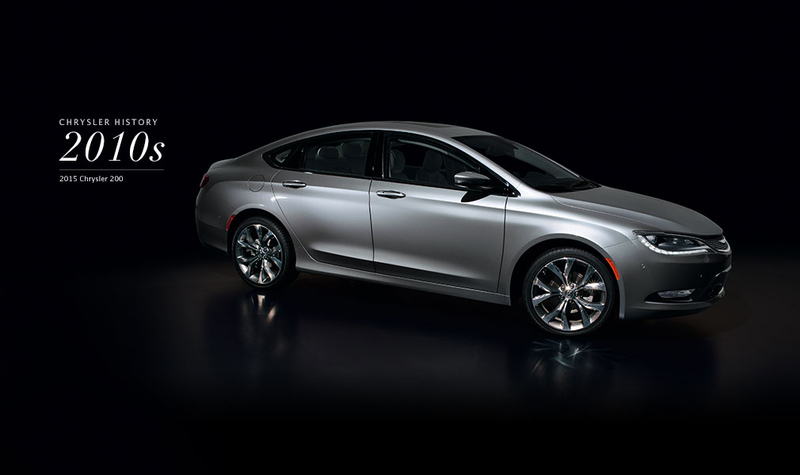 The brand also invested close to $1 billion to redesign the Chrysler 200, which made its debut in January 2014 as a 2015 model. This all-new model featured a striking new interior and exterior design along with top-notch drivability due to its segment-first nine-speed automatic transmission. Most recently, the brand reinvented the minivan once again with the release of the all-new Chrysler Pacifica. This model goes beyond what you would expect from a minivan with the inclusion of a variety of new style upgrades along with new convenience and safety technologies that make for a more superior traveling experience for the whole family. These upgrades are outlined in the brand’s popular new PacifiKids campaign that was created specifically for this vehicle. 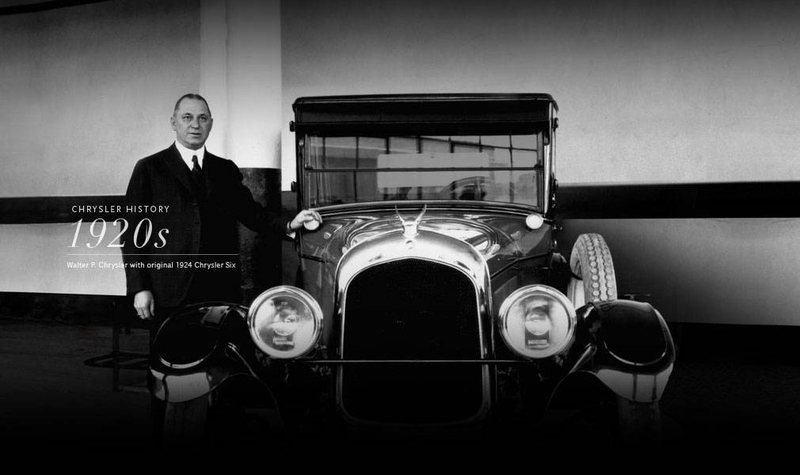 In the more than nine decades since Chrysler was first created, the brand has continued to evolve with the times and yet still hold true to its original engineering roots. We look forward to seeing what the brand continues to develop in the future.